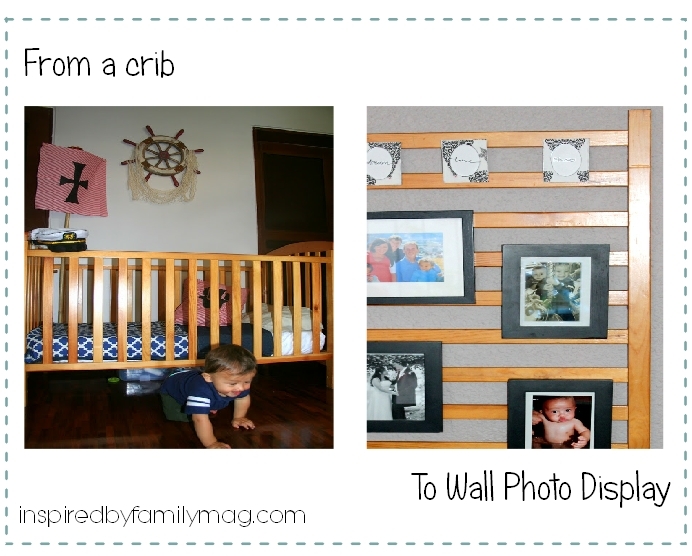 Have you seen all of the fabulous repurposed crib projects out there? I am amazed by how creative people are. My two-year old has outgrown his crib and he has an amazing triple bed my husband made waiting for him. You can see pictures of the fabulous triple bed and their nautical room here. I have been dreaming of all the wonderful project that I could make with his old crib. I love repurposed projects! They make me feel so green and we save money. We made two projects with our crib: my husband made something really cool (stay tune for that project) and I made this Photo Wall Display. We bought the crib used and it served it’s purpose for two years and I love that we can still get some use from it. What you need to do first is take the crib apart. Ours was really easy to take apart with screws on each corner. 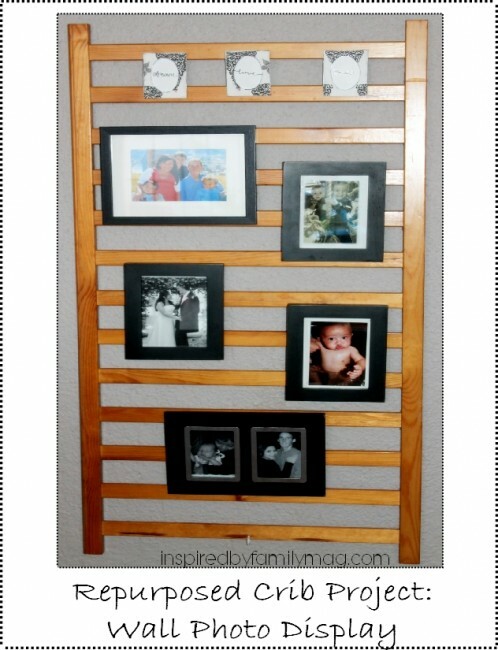 Then take the crib railing and hang on the wall. I wanted to paint it but my husband knows I like to change the house around so he suggested that we leave it as close to its natural color so that when we are done with it we can put it back together and sell it. He’s knows me well. 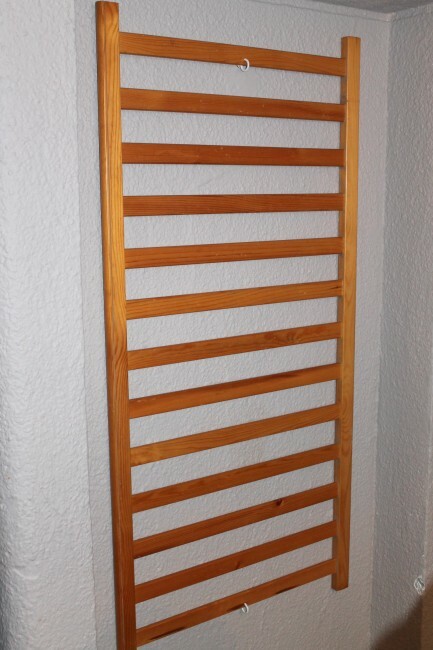 We used to hooks that were the perfect size to keep the crib railing up on the wall. Once you have it on the wall you can start adding your frames. I just used the picture stand attached on the back of the frame to hold the picture up in each slot. No need for nails. I especially love my DIY $1 frames make over. You will never guess what I used to for the design cover on the frames. Stay tune for the details.